The Basque Country. Many people have heard the name but how many can truly describe the place? If you ha ve ever visited this region, you’ll most certainly never forget its beauty. It is a land of contrasts, from the bluest of oceans to the greenest of mountains. White-washed houses with deep-red shutters, sheep grazing on slopes as far as the eye can see. Layer after layer of purple-hued peaks stretching from the most south-westerly border of France and spilling into the wilds of neighboring Spain. The sun shines brightly and the sky is impossibly blue. During the mild winter, the rain keeps the forests of stately pines and magical oaks lush and plentiful. Threading through these woods, from the Atlantic coast to the Pyrenees are an endless network of roads. If it sounds like the Basque Country would be a cycling paradise, that’s because it is. The Basque Country has had a long history with cycling. Its location at the foot of the Pyrenees range, makes the surrounding hills perfect for long rolling rides with sweeping views. The smaller hills are ideal for warming up the legs, while the taller peaks are a real test for serious climbers. 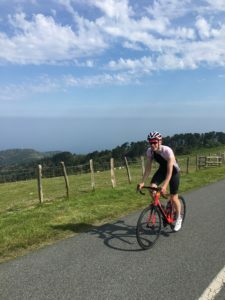 Riders who prefer a sea view can also find happiness in any number of routes along the French and Spanish coastlines, from Biarritz to San Sebastien. As recently as 2018, the Tour de France visited the region during stage 20. An individual time trial from Saint-Pee-sur-Nivelle to the famous village of Espelette, challenged the professional cyclists over a fast, winding course with a few lumpy surprises. Some very successful riders and teams have come from the Basque Country, no doubt because of the quality terrain on which they have to ride and train. After pedaling up and down all those hills, there are plenty of options to satisfy the hard-working cyclist. Between the mountains and the sea, the Basque Country can offer the freshest seafood, locally raised meat and vegetables, traditional dishes from the heart of the region or modern cuisine from simple pintxos in a local bar to Michelin-starred dining. Fresh, sustainable, organic, non-GMO, bee friendly, vegetarian and vegan are not foreign concepts here. Farm-to-table isn’t just a fad, it is a way of life and it isn’t uncommon to see a group of cyclists sitting around the table at a local restaurant, enjoying a home cooked meal from a hand written menu. There is no better place than the Basque Country to sample such a variety of cuisines. This is a unique region that spans two countries. France and Spain each have a deep love of food and culture with specialties found nowhere else in the world. Bike Basque knows that the Basque Country is a cycling paradise. That’s why they call it home. Even when not guiding guests from the UK, the USA, Europe and beyond, they are out on a bike, exploring new roads and looking for new adventures. 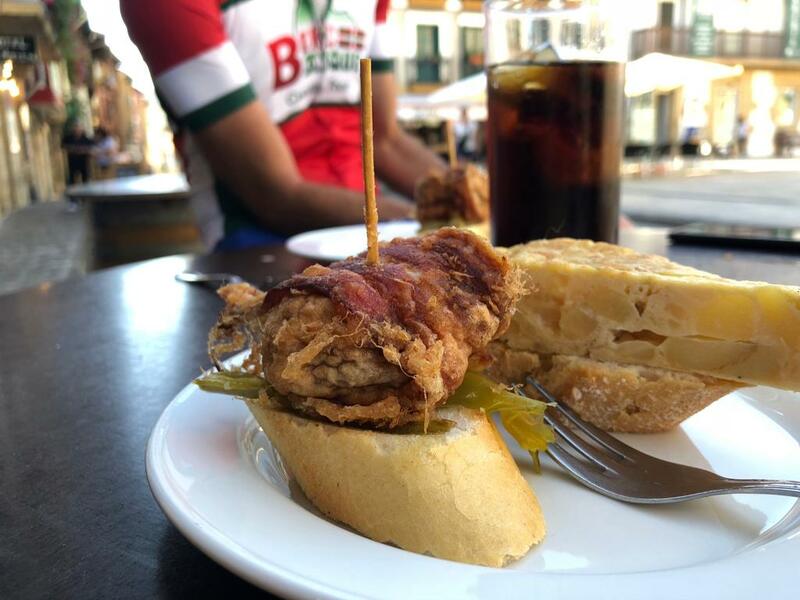 Between the breathtaking scenery and the unforgettable cuisine, there is an experience here for every level of cyclist from the lover of challenging climbs to the lover of the café and pastry stop. 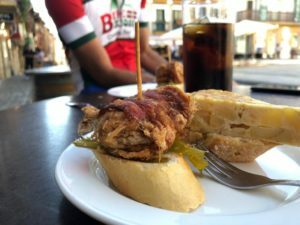 Bicycle touring in the Basque Country is an experience unlike any other. From iconic Tour de France climbs to long stretches of wide open road, from the busy beachside ports to the peace and quiet of traditional villages, come discover why spending a few days on the bike in the Basque Country could leave you wanting to spend a lifetime here. I’ll have to catch up with you this summer.